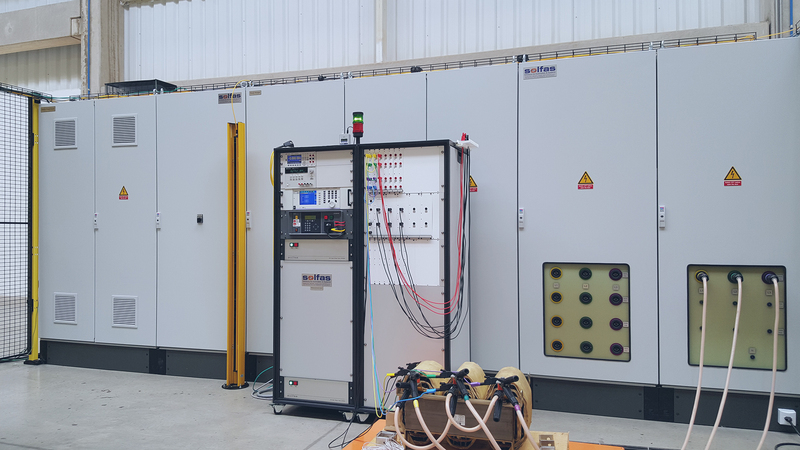 This test system solution was designed for routine tests of medium voltage distribution transformers according to IEC60076. 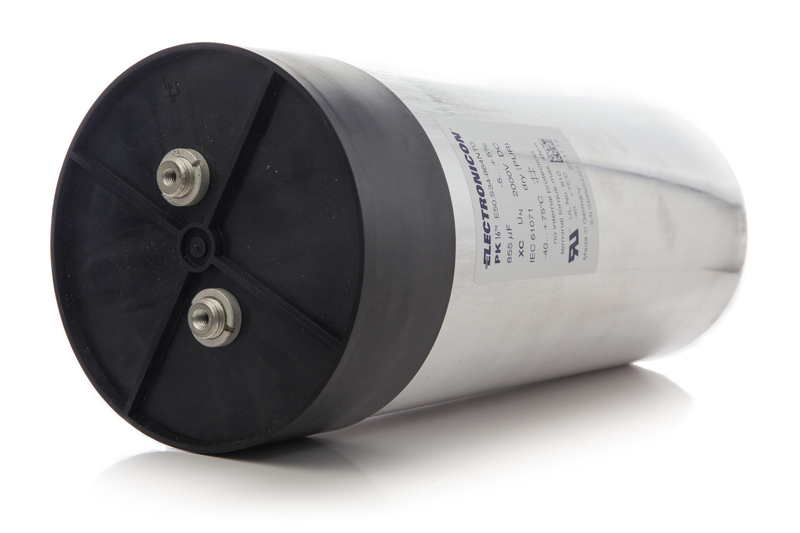 It is optimized for testing transformers with up to 2.5MVA and rated voltages up to 30 kV. 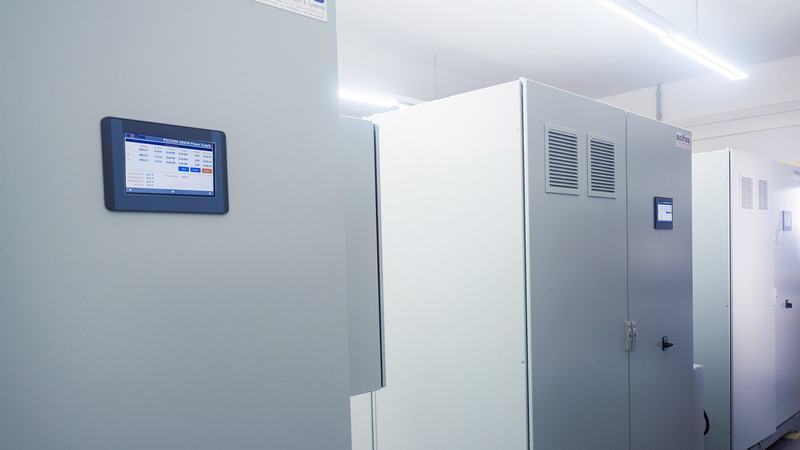 For an efficient use in industrial production a test system needs the ability to adapt to test requirements of a broad product range while keeping the testing process easy, efficient and safe. 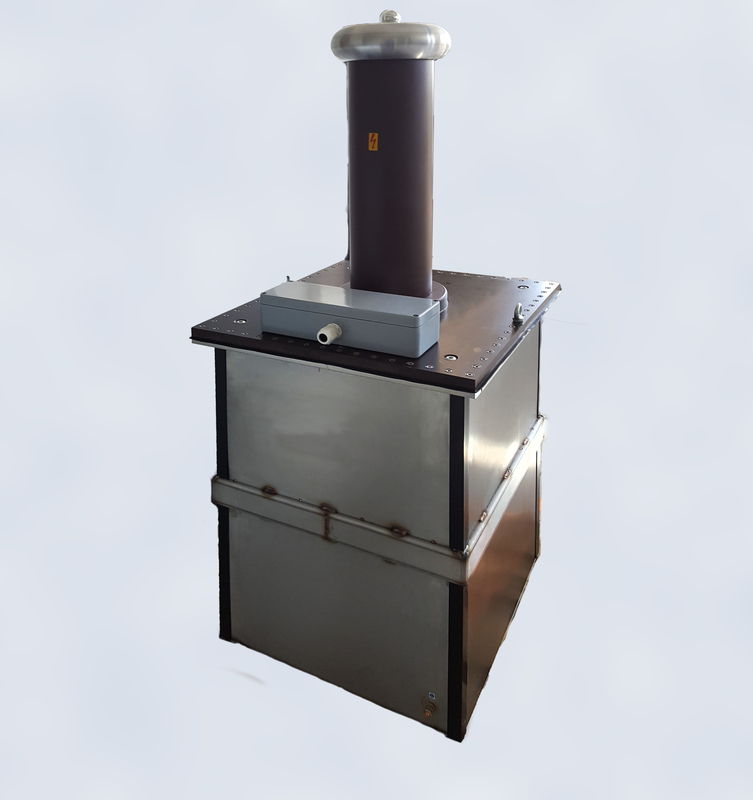 The special requirement for this system is the capability to do short circuit tests at power transformers with various rated input and short circuit voltages, induced withstand voltage tests and no load test with one flexible power supply. Our compact inverter power supply provides all required test voltages with variable frequency in the range 50-150Hz. 4 power ranges are available for optimised adaption to the various test requirements of distribution transformers. The remote control of all components and automatic switching of the measuring points during voltage ratio test allow comfortable testing from the control desk and increase productivity and safety. This system is fully equipped with a safety control unit, e-stop buttons, safety doors, safety fence and a light curtain for test area according to EN 50191 to provide maximum safety for the operators during every day work. The following teststeps are part of this custom solution.